With the cold weather and long nights now upon us, we thought it would be a fitting time to wish you a warm and cozy season’s greetings. 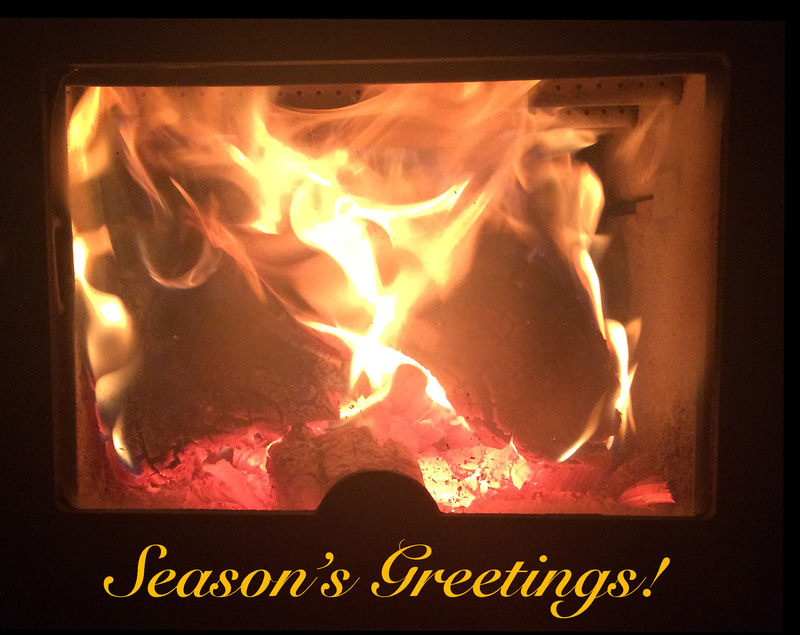 Whether you’re by a fire, warm beverage, friends, family, loved one, or simply the screen on which you read this email, we hope your holidays are warm and merry indeed! 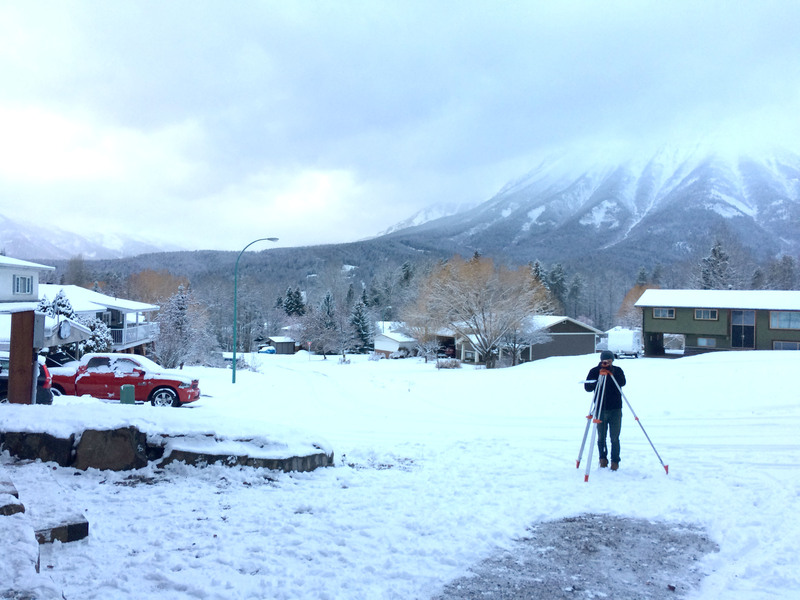 Around a month ago, the persistent fall finally came to an end in Calgary, and design work/ ice cold surveys kept us busy right up until mid December. Now, at last, with snow covering the frozen ground, a time of rest and reflection is upon us… and one of the first things that comes to mind is that we want to offer you all a big THANK YOU for your continued support throughout 2016, prior years, and into the future. Without your interest and support what we do wouldn’t be possible. We are very grateful for the incredible community that surrounds us and are excited to continue working with all of you transforming landscapes into regenerative human habitats and healthy, productive ecologies in 2017 and beyond! Water. 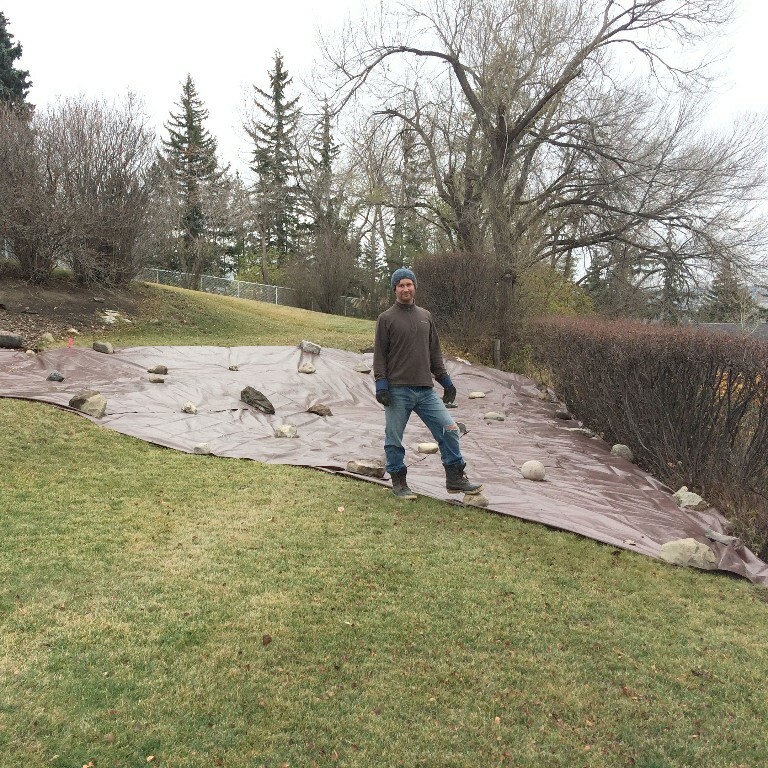 Winter snow melt is a major water harvesting opportunity in the cold climates, with approximately 1/4 of our annual precipitation in Calgary coming in the form of snow. 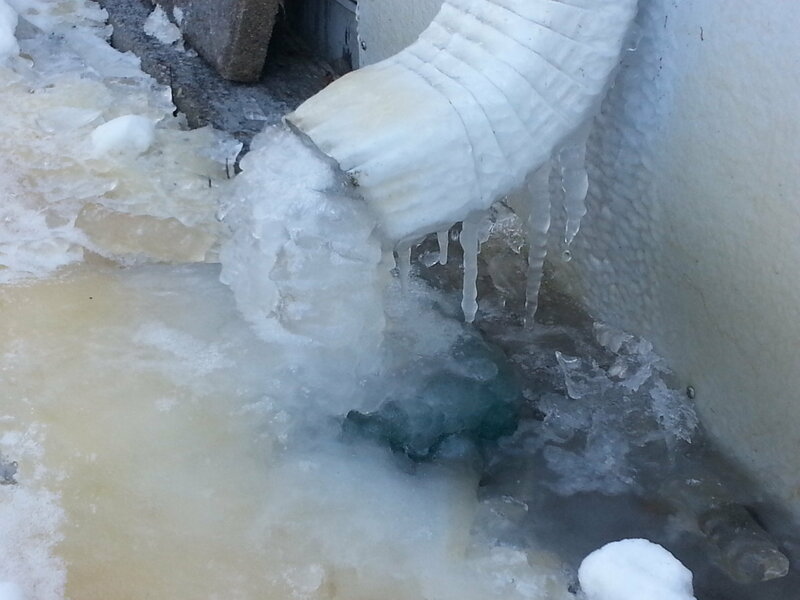 Being able to observe what happens as snow melt begins and water channels or pools in certain areas, then refreezes, and repeats this pattern through the winter, provides great guidance in how we design our overall rainwater harvesting system. Plan to move water above ground through either downspout modifications or overland drainages. Where possible do not cross pathways (as this can create hazardous icing situations), or when you do, try to move the water above them through a downspout extension above head height or underneath them via a bridge or culvert that will allow the build-up of ice without complete clogging. Where possible, harvest and store meltwater in earthen landscape features like basins or swales where it can safely pool, freeze, and upon ground-thaw be infiltrated into the soil and used by plants nearby. Continually observe the pattern of melting and re-freezing as it takes place on your site, and make adaptations to the system when necessary. Desire Lines. 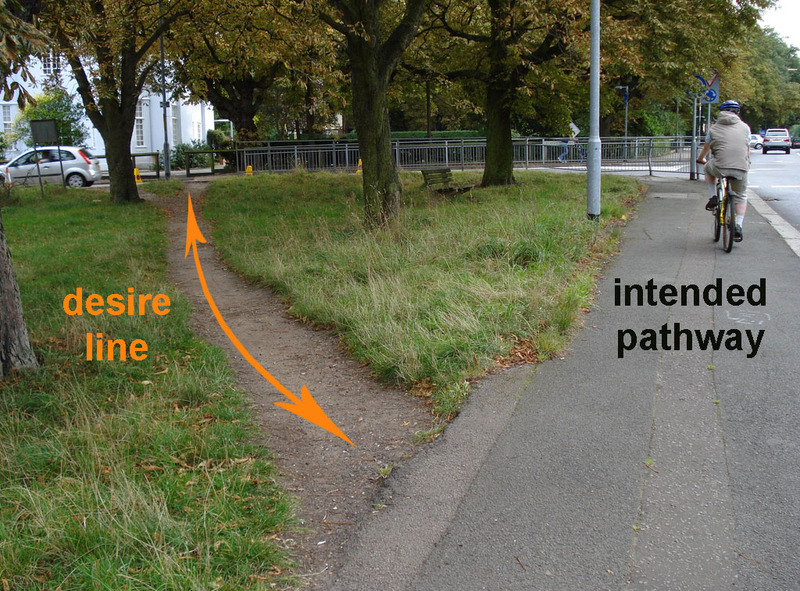 A desire line is a trail that is created by foot traffic, representing the natural way in which people/ living creatures move through a space. Pathway designs are most successful when they take desire lines into account, resulting in less trampling of growing areas, and smooth, intuitive movement through the space. When snowfall is present, desire lines – especially those too subtle to create a noticeably worn foot path year round – become visible. Snow also blankets and makes invisible low-to-the-ground objects such as pathway edging or perennial plants, removing the visual cues which encourage people to stay on pathways. 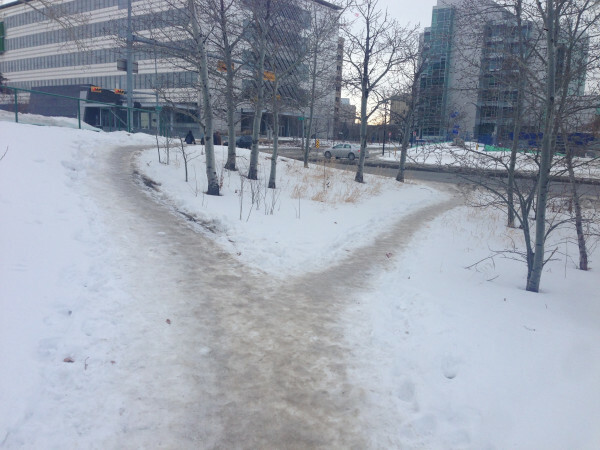 This can create the situation where certain pathways are respected in the spring, summer, and fall, but become invisible under snow and are disregarded during the winter months, when new desire lines emerge. We can either do nothing and allow the pattern to continue, accept the feedback and make new pathways, or include new elements like a dense shrub, tree, fence, or other physical feature that will effectively deflect or block that traffic flow. 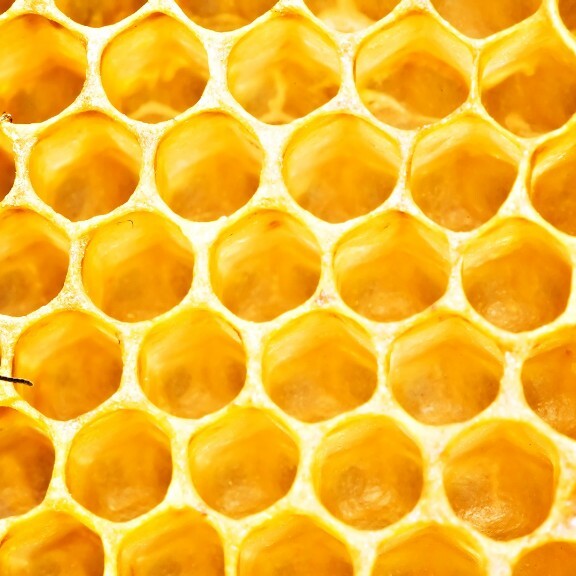 Another concept we’ve found very useful when considering desire lines, and pathways in general, is to apply the natural pattern of the honeycomb. When pathways are laid out (even quite loosely) according to a honeycomb pattern it seems to address people’s natural desires to transit across the site in a variety of ways, while protecting patches in between the pathways and helping to prevent erosion/ compaction. 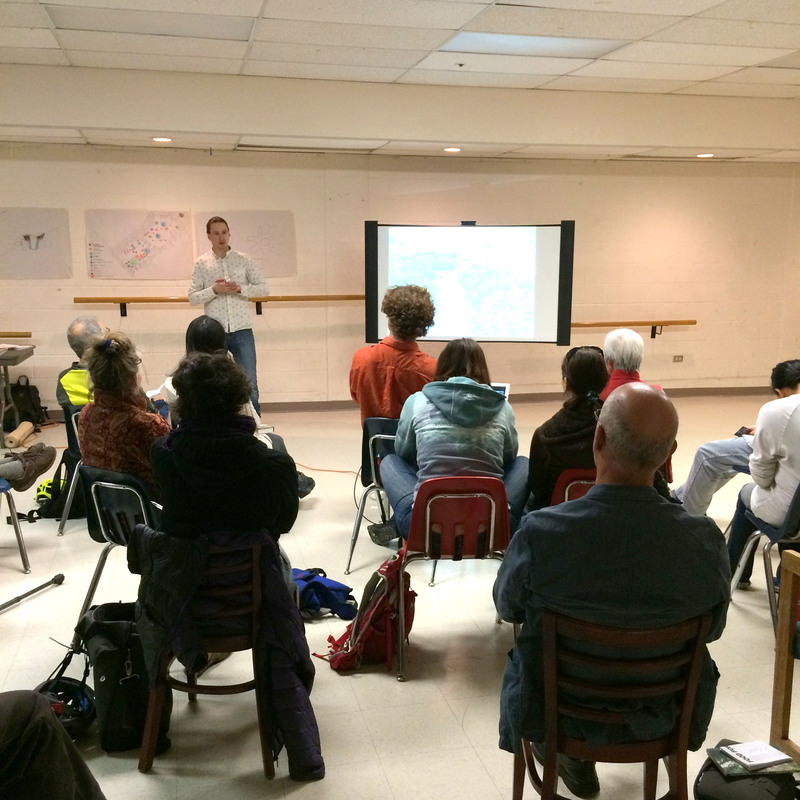 We continued to offer presentations and workshops frequently throughout 2016. A list of those, as well as our upcoming 2017 workshops, can be viewed here. A large portion of our schedule in 2016 was dedicated to working on school projects. 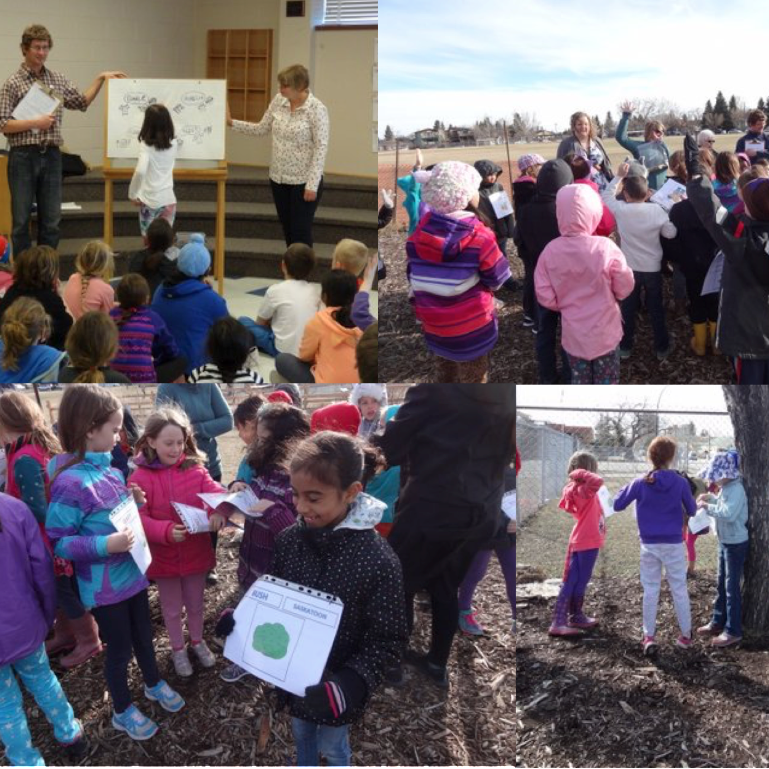 This included engaging with all teachers and students at King George Elementary School in the planting of over 150 perennials as phase two of their edible forest ecosystem that we’ve been helping them with since early 2015. 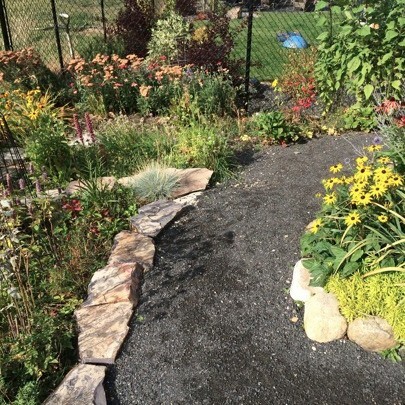 We also completed designs of naturalization areas, creative playgrounds, and outdoor classrooms for other schools in both the Public and Catholic School Boards, as well as alternative education streams. 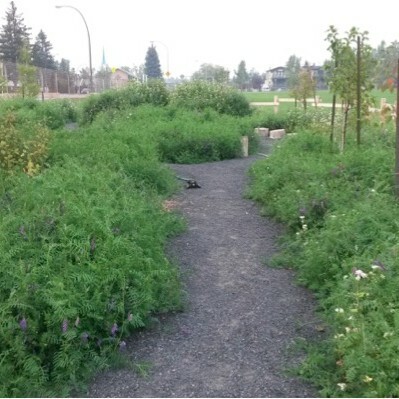 More planting happened in the public food forest in Forest Lawn Natural Park, including a corporate volunteer day to plant more edible perennials into the food forest and seed a nitrogen fixing cover crop. 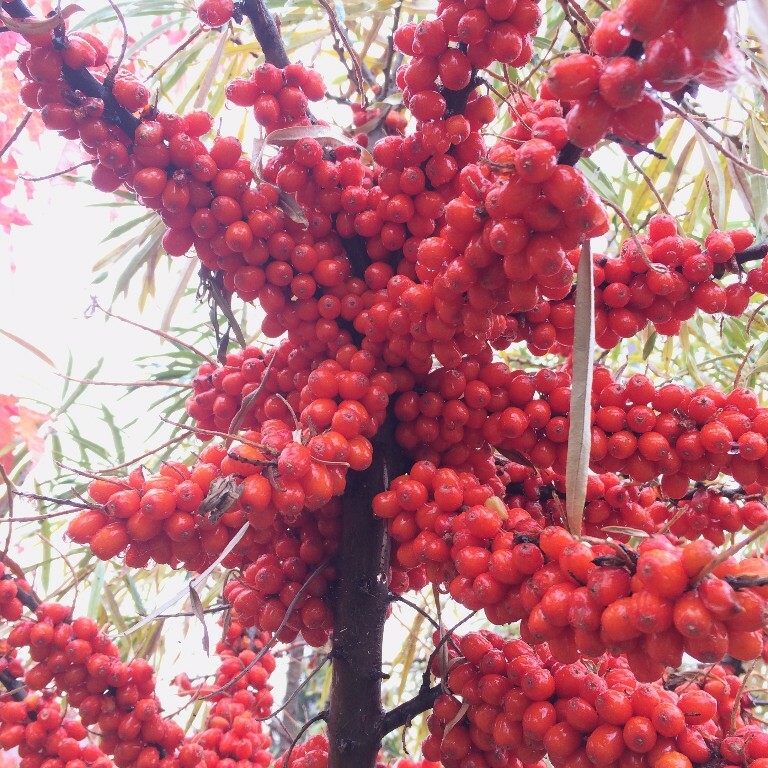 Later in the year, we donated over 40 plants from our nursery to add even more diversity in the herbaceous layer: We even got to see some of the neighbourhood kids eating berries off the shrubs in late fall! 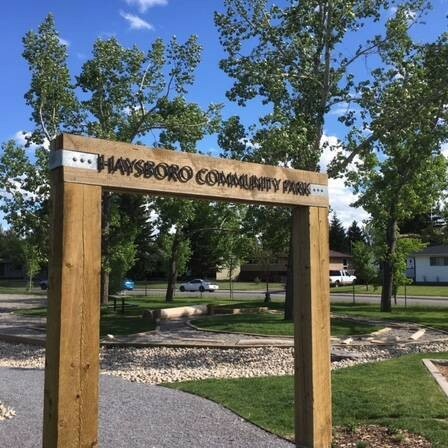 We are excited to announce that we’ll be working on phase two of the Haysboro Natural Playground, doing some further conceptual and detailed designs for various areas of the park, including a dedicated food forest area. 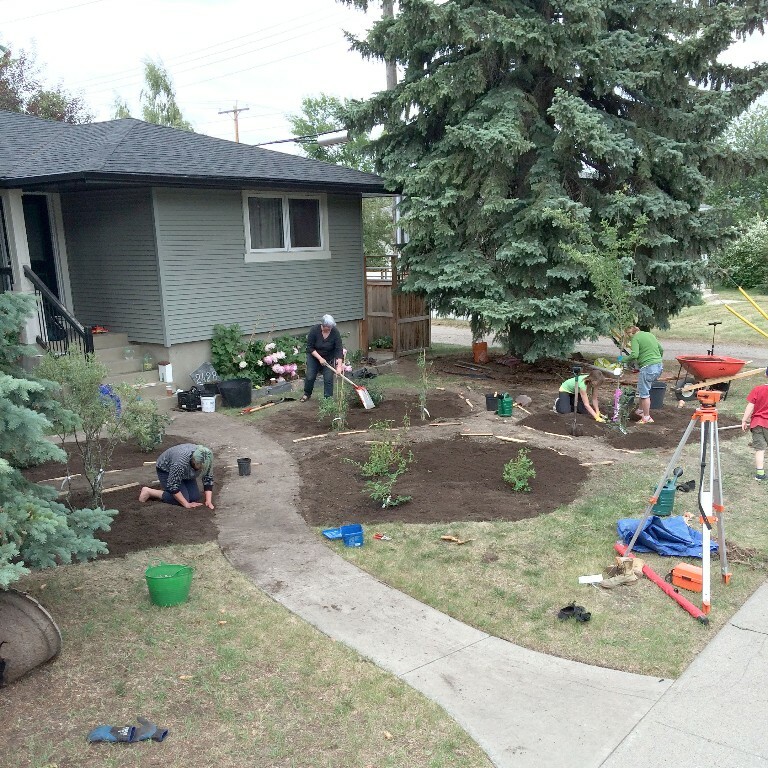 For more information on the park, you can check out their website or take a trip over and see for yourself; the address is 1204 89th Ave SW.
We had a great time being involved again in many of our past projects, helping with ongoing consulting, maintenance, and installation of later phases in the design. We are so grateful to our past clients and are excited to continue being there for you on your food forest journey!We also helped a number of people start their own food forests this year, and are looking forward to continuing these projects in 2017 and beyond. 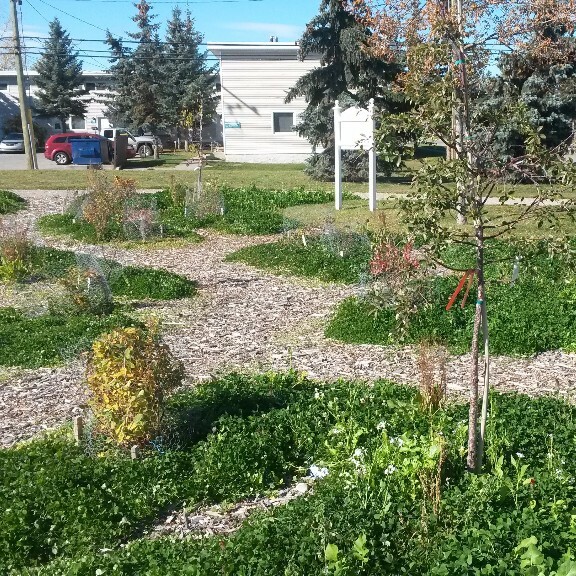 We’re excited to announce that we will be hosting our next weekend workshop, Design and Plant Your Edible Forest Garden in Calgary on the weekend of January 18/19th. Our 2 day food forest workshop will teach you essential principles and techniques involved in the design and planting of successful edible forest gardens that are productive, beautiful, regenerative, and low maintenance. 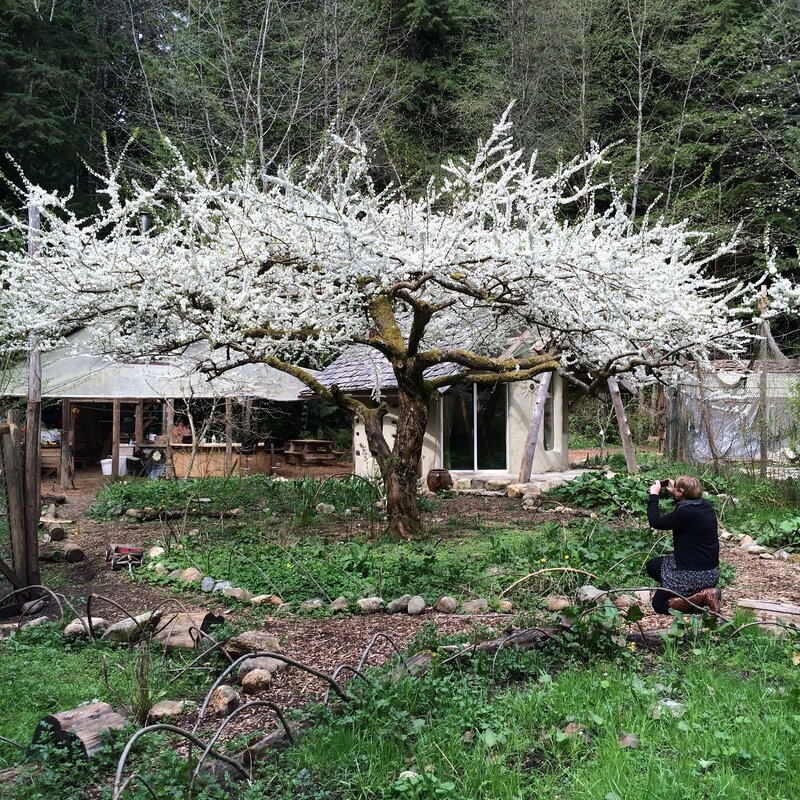 You’re invited to come out and hear the stories and lessons learned in our cumulative 15 years of edible forest gardening design, installation, and stewardship experience. For more information and to register, check out the event page on our website. Thank you for taking the time to read this email, we hope it has added some warmth and inspiration to your holiday season! We’ll be out of the office until early January celebrating the season with our respective families, and likely taking a bit of time to reflect and dream up new ideas for the future… We wish you a joyous holiday, and look forward to being in contact in the new year!